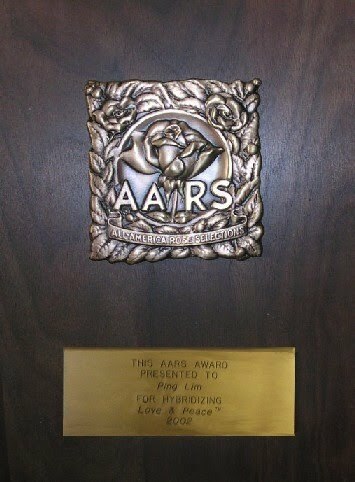 In 2002, Ping Lim was awarded his first All-America Rose Selections Award for his hybrid tea, Love & Peace®. One of Ping's roses was chosen by Macy's department store to celebrate their 100-year anniversary. The rose was named Macy's Pride™ and won the prestigious New England Rose Society Award. 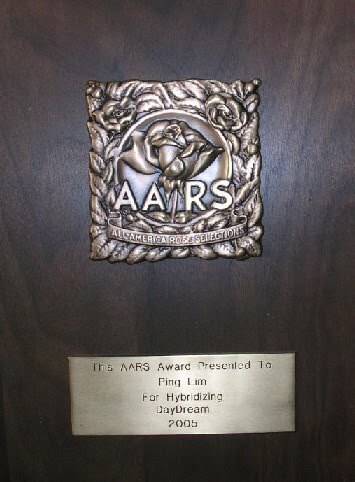 The AARS honored Ping for the second time by choosing Rosa DayDream (PPAF) as one of their 2005 winners. In 2006, Portland awarded Easy Elegance and Ping “Best Rose” for Love and Peace. In 2007, Ping’s Sunrise Sunset was chosen as Portland’s Best Shrub Rose at the annual rose festival. In 2008, Ping recieved total of 3 awards’s: Portland’s Best, Floribunda and Grandiflora. In 2009, Ping’s Yellow Brick Road was chosen as Portland’s Best Shrub Rose. In 2010, High Voltage and Sweet Fragrance entitled Portland Best Shrub and Grandiflora. In 2011, The Finest won Portland Best HT. In 2014, Coral Cove won Portland Best Shrub. The success of these and other Easy Elegance award winners is due to attributes found in all Easy Elegance roses. Performance beyond belief. Vibrant color and prolific reblooming. Winter hardiness. Resistance against diseases that affect other roses, such as black spot and mildew. All with virtually no maintenance.